The four miles is known as the Humboldt Bay Trail South. The completion of the trail is also noted by Humboldt County officials as a "critical link in the California Coastal Trail" and "will enhance recreational use and enjoyment around the bay." The recommendations are set to come before the California Transportation Commission at the January 31st meeting. If the recommendations are approved, construction is slated to begin in 2021. Hank Seemann, the Deputy Director of Environmental Services for the Humboldt County Public Works Department said the trail will provide safer routes for cyclists who previously had to brave part of the trail through a small route directly adjacent to the highway. "There is a wide shoulder. It's colorized. However, the traffic speeds are high. The traffic volume is high. There's several intersections that are really difficult to maneuver. It's just not a safe and comfortable facility for non-motorized use," he said and added that the reason it the completion would begin two years from now is because it's a major infrastructure project. "Having the funding allocated was probably the biggest hurdle so that's a big success, however, we still need to finish the design and work with landowners to require the right-away, we need to go through the environmental permitting process and we also need to finalize a plan to mitigate the unavoidable impacts to wetlands along the corridor." Seeman said the project's plans include constructing several bridges and weaving through the bay's shoreline, the old rail road, some private properties and near deteriorating Eucalyptus trees along Highway 101. He also said they need to do major construction on the rail road bridge near the Eureka Slough. "People sometimes mean different things when they say Humboldt Bay Trail. 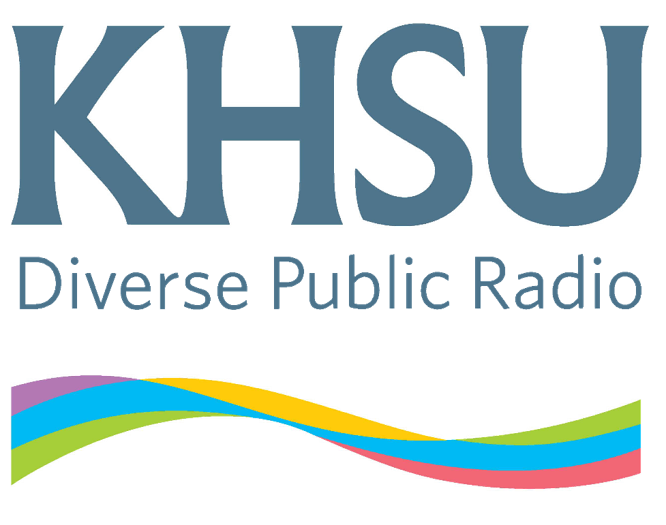 I think the traditional definition has been connecting Eureka and Arcata, the two biggest cities in the county, and this project will deliver that. This will complete the gap," Seemann said and hopes this will spark more expansions to areas south of Eureka like King Salmon and the Eel River Valley and east of Arcata like Blue Lake, something he regarded as the vision of the Greater Humboldt Bay Trail--a network of paths and trails that connect communities around the bay. 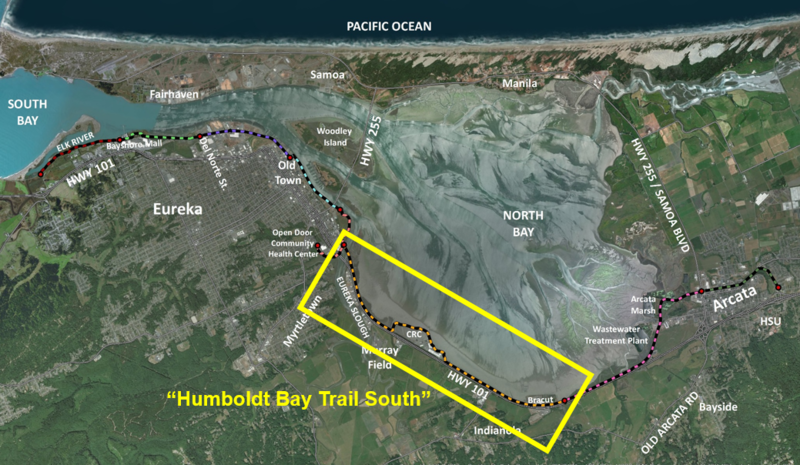 In a press release for the Humboldt Bay Trail, First District Supervisor Rex Bohn said the community places a high value on trails and that the trails make Humboldt a great place to live. "Trails give people the opportunity to be physically active and connect with the outdoors. I see families, young adults, and seniors enjoying the Eureka Waterfront Trail all the time," Bohn said. "Many people have told us they would bike or walk between Eureka and Arcata if they felt safe to do so. We appreciate the Transportation Commission's support for the Humboldt Bay Trail as an important investment in safety and quality of life for our region." Over the weekend of Dia de los Muertos, several dozen people arrived at St. Joseph's Church in Fortuna. Sage was burned as two women adorned others with crowns of orange marigolds. Stories of ancestors, family and community were told in the darkness of 6 a.m.
Dr. Laurie Richmond of Humboldt State University led a team of researchers who interviewed commercial and charter fishermen, fishing families, deckhands, local business owners and operators, local civic leaders, and elected officials in Eureka and Shelter Cove to develop recommendations to improve the sustainability of these ports. Recommendations range from basic infrastructure like dredging and cold storage to better organization for political engagement, market development, and habitat protection. In Shelter Cove, a new fishermen’s association has already formed and will soon begin managing the marina facilities. Today's guest led a team of researchers who worked with the fishing communities of Eureka and Shelter Cove to develop recommendations for the sustainability of the fishing industry. Recommendations range from basic infrastructure like dredging and cold storage to better organization for political engagement, market development, and habitat protection.